A luxury brand that gives you the luxury of living "RAAT"
Eco-friendly LED lights make our lives more comfortable. Optimal lighting design gives more impression to exhibition. With the eco-friendly LED lighting fixtures, we are pioneering the lighting market for the world. Through many years of know-how, we have pioneered overseas markets in Europe and exported more than 150 lighting fixtures products to 60 countries. In order to preserve the environment, we have established an environmental policy that reflects environmentally friendly factors throughout our activities, products and services, and we will continue to maintain and develop these policies. Export to 60 counties and 150 companies. We are constantly growing on our global stage. 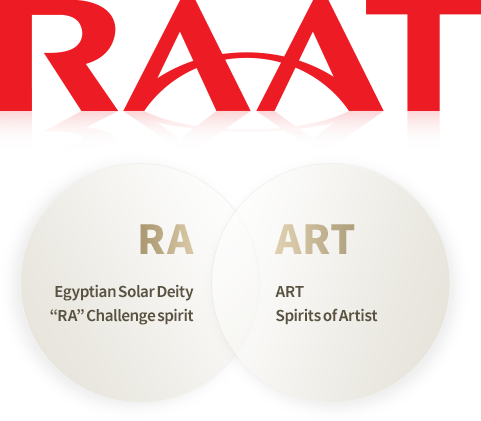 Raat is compound word of ‘Ra’ and ‘Art’, ‘Ra’ stands for the sun god, light of nature, and creator of light. 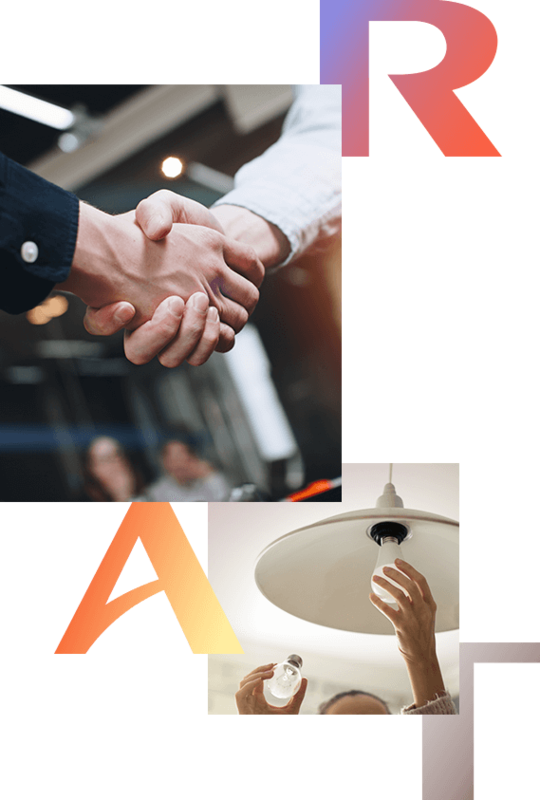 As new brand name of Dongmyung Lighting, we pursuit of high quality products to give all of our customers satisfaction.RAAT shows that philosophy of Dongmyung lighting in order to make better light and better life. Double A means that it is our strong will to be top brand maker in overseas market. Also half circle in the double A represent sunrise.